Her kommer et nytt kort fra meg. Som vanlig så har jeg brukt nydelig papir fra Maja Design. Mønsterpapir fra Maja Design er helt klart min favoritt♥. The beautiful papers i have used are from Maja Design. are from Make it crafty. I have colored with Copics like always♥. Ønsker alle en fin kveld videre. Thank you for visiting my blog♥. A lovely card with a beautifully coloured image. Great to see you at CRAFT this week. Vilket underbart vackert julkort! Motivet är vackert färglagt och jag gillar din layout. Tack så mycket för att du deltar i våran utmaning hos Crafty Sentiments. Lycka till och välkommen åter! So wonderful card, your colouring is fantastic ! Thank you so much for joining us gals at Charisma! Så fint med snøkrystallene i 3D. Gorgeous card, love the wintery scene and snowflakes, very pretty. An awesome card sweetie. Adorable image and fantastically coloured. 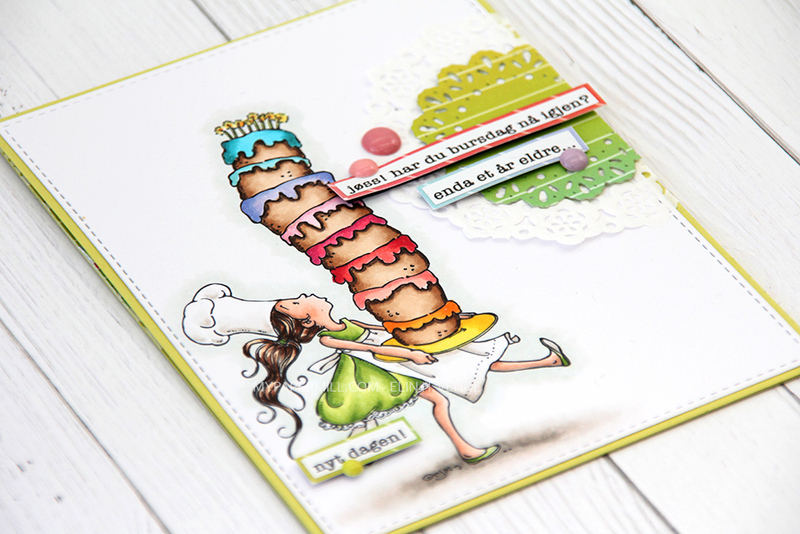 This is so gorgeous, adorable image...Thanks for joining us at Divas by Design. Such a lovely Christmas design. Thanks for playing with Charisma this week. Stunning card! Thank you for sharing with us at Charisma Cardz Challenge and good luck! Beautiful, love the lamp post. Glad you joined us at Pixie Dust Studio. Please check our winners post at http://trimmiescraftchallenge.blogspot.co.uk/2012/12/winners-post-185.html and e-mail us to claim your prize. Et vakkert og stemningsfullt julekort!